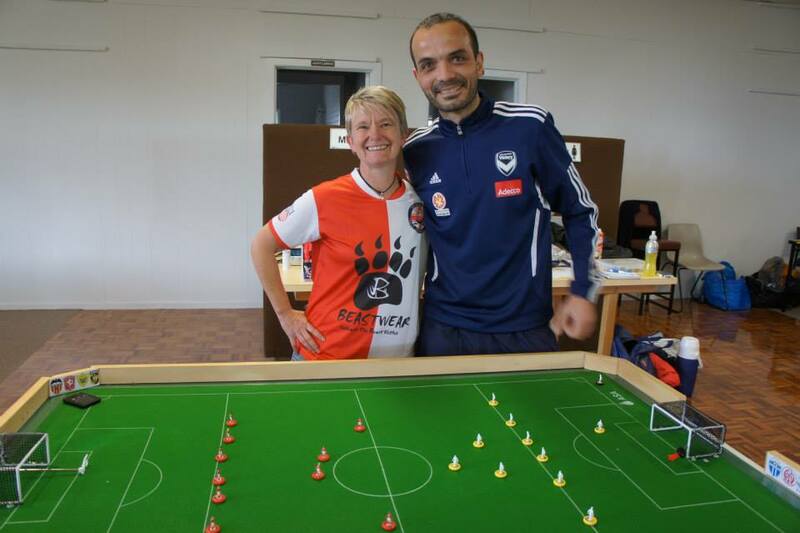 Beth Eveleigh has been a pioneer for womens table football in Australia becoming the strongest female player on the circuit. Always playing with a smile, she helps to ensure we always have great fun at our Tournaments in Melbourne! Tell us a bit about how you first started playing Subbuteo. Where were you and how old were you? My first game of Subbuteo would have been on my bedroom floor in 1975! I was living in Bristol and supported Bristol City FC. I think I was imagining myself at Ashton Gate…I played with a few friends, before TV’s Match of the Day on Saturdays and before the Big Match on Sundays! I was 11 ? What were some of your most memorable Subbuteo moments growing up? I think my most memorable moments were kneeling on my number nine, hating the introduction of the silly corner kicker figure (never lasted) and buying flood lights that actually worked! Ah…the 70s! 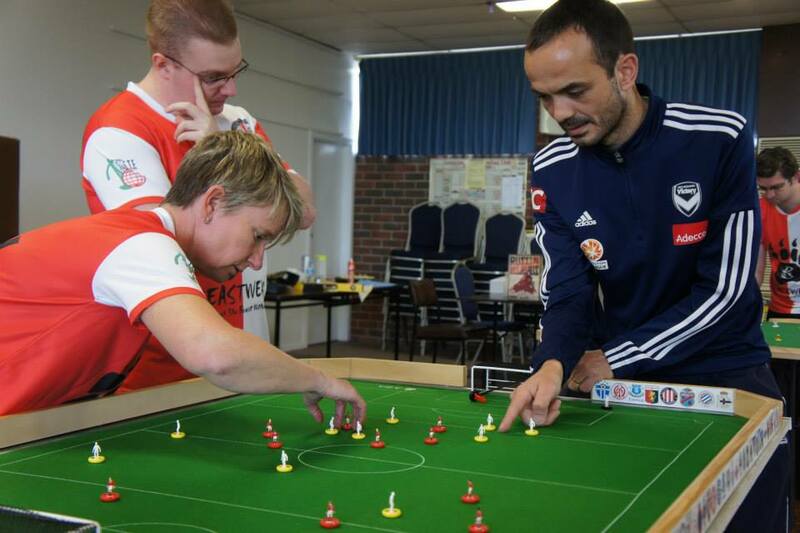 When did you start playing Subbuteo again? I rediscovered the game about 5 years ago. 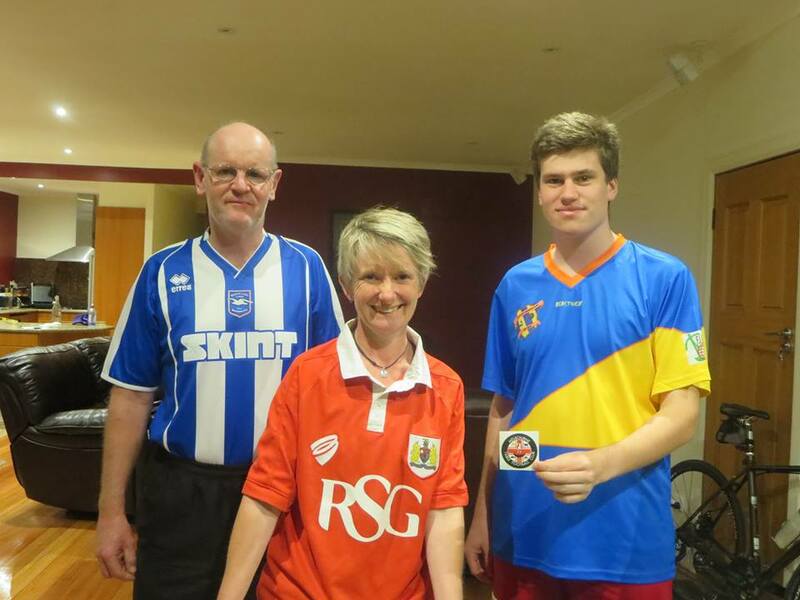 Now living in Australia however I couldn’t find anyone to play against…until…MTFC ? Have there been any big changes in the game since you were a kid that you’ve noticed in the last year or so? 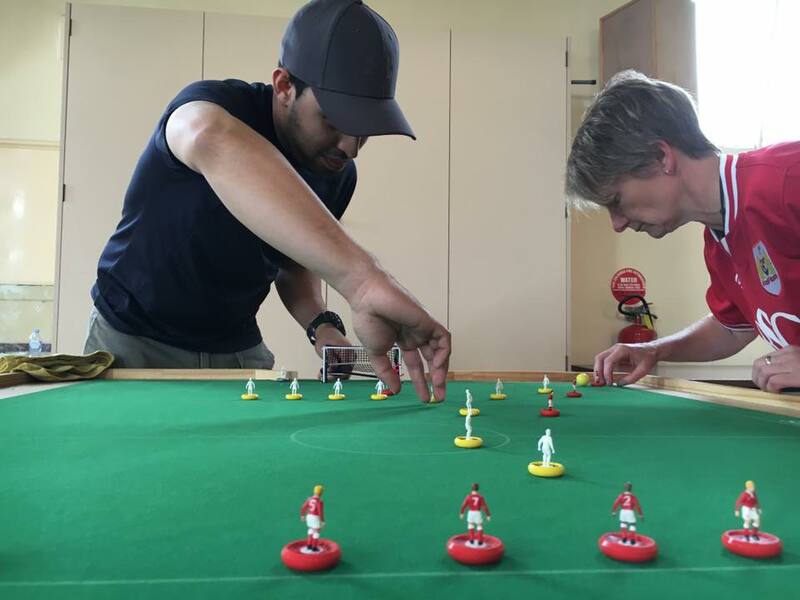 Huge changes: key skill of swerve gone, figures flat, pitches smooth, keepers huge and importantly the new tactics make modern subbuteo less like real football and more like a tactical, skillful game of its own. Playing WASPA tournaments more regularly, what do you aim to achieve at each tournament? Improvement, wins and points…plus most importantly enjoyment. What has been your favourite tournament so far? What has been your most memorable match? The MTFC 4th Annual Club Championship in April this year. Most memorable match and moment was scoring against Peter Thomas! What team do you use, is there any special connection to that team? Tcha Sniper 2.0. Red & White, Bristol City! Always Bristol City! Thank you, Beth- Keep on Flicking! This entry was posted in News, Player Profiles on 05/09/2016 by subbuteomelbourne.